All Area Lexus Green, Garces girls basketball. All Area winter sports - Girls basketball coach of the year Johnny Samaniego. All Area winter sports - Neli Diaz McFarland basketball. Winter All Area athletes - Kern Valley basketball Hannah Hurley. Winter All Area athletes - Bakersfield High basketball Taylor Linzie. 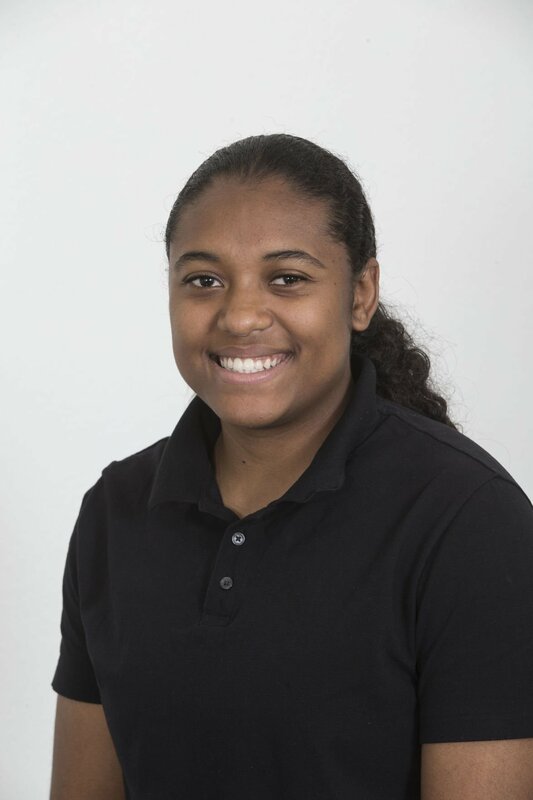 Winter All Area athletes - East girls basketball Kanyah Patterson. Winter All Area athletes - Tehachapi Girls basketball Teagan Thurman. 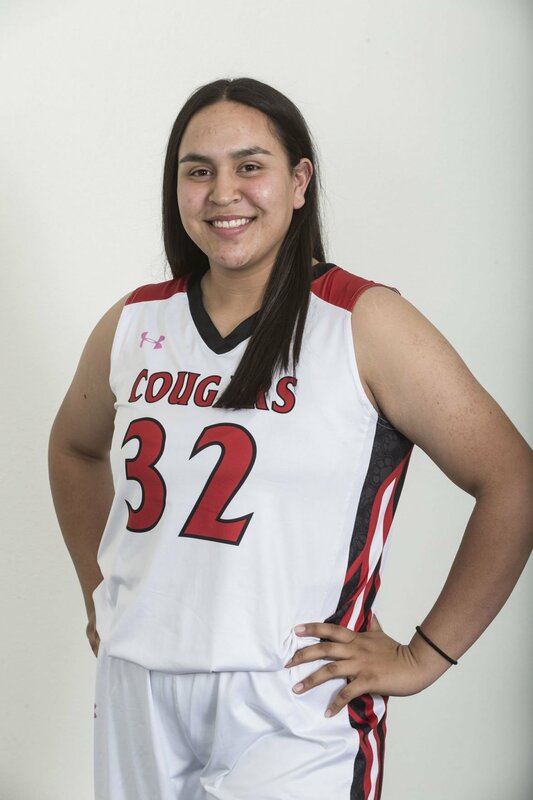 Player of the Year: Kathy Rodriguez, senior, McFarland - The four-year varsity standout for the Cougars averaged 13.8 points and 14.2 rebounds per game this season, and helped lead the Cougars to the CIF State Division III Championship. During the Cougars’ eight playoff games, Rodriguez averaged 16 points and 16 rebounds per game, including a stretch in the first three rounds of the CIF Southern California Regionals in which she had at least 19 points and 19 rebounds in each game. Neli Diaz, senior, guard, McFarland - The program’s all-time leading scorer finished her career with 2,018 points, including averaging a team-high 18.9 points per game this season. She also averaged 6 rebounds, 3 assists and 3 steals per game as the Cougars advanced to the Division III state title game. Lexus Green, senior, guard, Garces - The Southwest Yosemite League MVP led the Rams with 18.6 points, 4.7 steals, 4.0 rebounds and 3.7 steals per game during league play. A dynamic scorer, she's also one of the best ball handlers in the Central Section. Hannah Hurley, senior, guard, Kern Valley - The senior leaves Kern Valley scoring 1,886 career points, including averaging 20.5 per game this season. She scored a season-high 40 points against California City on Dec. 21, the fourth 40-point game of her career. Taylor Linzie, junior, forward, Bakersfield - Averaged 9.9 points, 11.8 rebounds and 3.6 steals per game for the Central Section Division II champions. Recorded 15 double-doubles including an impressive 19-point, 21-rebound performance against Hanford on Dec. 29. Kanyah Patterson, junior, guard, East - The Southeast Yosemite League MVP led the way for East with 18.5 points per game. Scored more than 20 points 13 times and had two 30-plus point performances. Put home a season-high 35 against Taft in the season opener. Teagan Thurman, junior, forward, Tehachapi - The South Yosemite League MVP helped lead the Warriors to a share of the league title, averaging 17.8 points and 11.2 rebounds per game. Had a streak of 11 consecutive games posting a double-double. The trajectory of the McFarland girls basketball season could not have been predicted.